JUST AN EXHBITION STALL DESIGN OR A BRAND ENVIRONMENT! 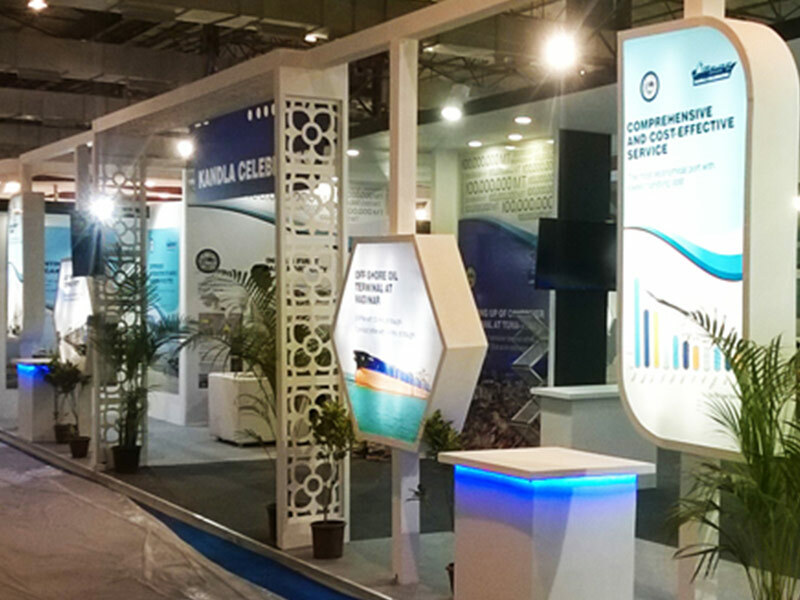 Exhibition design or commonly termed as stall design or booth design are an ideal medium for most B2B/B2C brands today. It is not about participation but brand projection. Exhibition stall production is carried out keeping the fine nuances of a brand in mind to aptly reflect and communicate the brand image. Let’s understand what really delivers that perfect brand environment. Stand out Components — Examples include a stairway, lounge, reception desk, product display, light fixtures, ceiling design, etc. .Posters and Graphics — Graphics and communication for the entire exhibition stall design and production such as the use of infographics, way-finding systems, photography, product-display graphics, key communication, on-site graphics etc. add brand communication to the pavilion design. Product/Service Demonstration — An exhibition stall design production is incomplete without an exciting product or service demonstration. After all, what shows is what sells. Technology — Innovative and effective use of technology throughout the exhibition production is an interesting technique of adding glitz. Experiential Exhibition Stall Design — Stall design expressly designed to create an experience for attendees, i.e., an exhibition stall design that activates attendees' senses and goes above and beyond a static architectural structure is the current twist in the tale. .Green Exhibits — Exhibition stall design and production that reduces the negative impact on the environment, as realised through sustainability, eco-friendly or recycled materials, and practices energy efficiency is the need of the hour. .Lighting based Exhibition Stall Design and Production — Lighting can change the stall production turnout completely. It can create play and add life to the pavilion design.